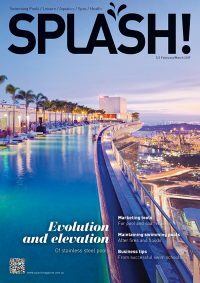 Water safety advocate and Kids Alive – Do the Five founder, Laurie Lawrence, says recent research into private pool drowning deaths in children under five showed that supervision was completely absent in 64 per cent of drowning deaths, while a further six per cent of children were left to be supervised by siblings or other children. In light of that fact, he joined with Poolwerx in promoting the concept of a Responsible Pool Person to keep an eye on kids during the fun times of the recent long weekend. “It is absolutely vital that kids are supervised at all times, including at parties. It is important that those supervising know how to perform CPR in the case of an emergency, as a child is four times more likely to survive if given CPR,” he says. Poolwerx CEO John O’Brien says pool owners should also be regularly checking access points to pools, including pool fences, gates, latches and areas where a child could gain access to the pool area via furniture or objects that had been left sitting near or against the pool fence or gate. “Research shows that in the majority of cases, children under five who drowned in backyard pools gained access to the pool via a faulty fence or gate, a lack of a pool fence or because the gate had been propped open. 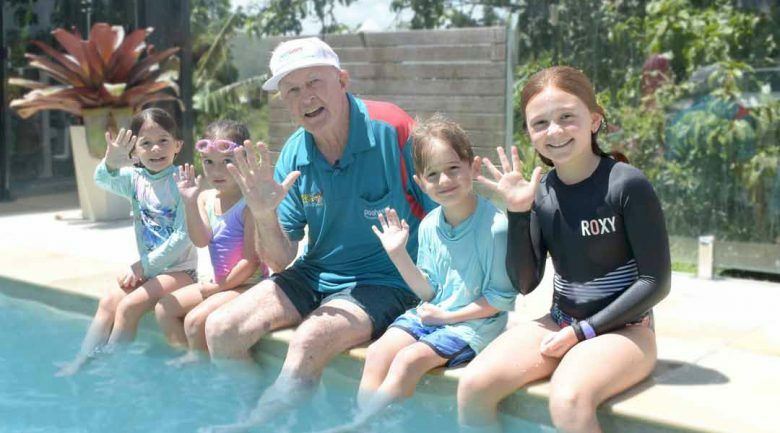 This is an absolute tragedy when you realise that so many drowning deaths are preventable if pool owners simply check their pool surrounds on a regular basis and make sure kids are supervised,” he says. Poolwerx offered free Responsible Pool Person hats from their stores. • Keep your pool area safe: Ensure pool fencing and self-closing gates and lockable latches are working properly, have a compliant CPR chart displayed within your pool area and ensure there are no objects surrounding the pool a child could use to climb on to and enter the pool area. • Appoint a ‘Responsible Pool Person’: Nominate a person or a number of people to take turns being the ‘Responsible Pool Person’ to ensure supervision is constant in the pool area for every swimmer experienced or otherwise. • Keep your pool water healthy: Ensure water is balanced and fit for swimming by maintaining healthy pH and Chlorine levels. Chlorine levels should remain at 3-5 Parts Per Million (PPM) and pH levels should be between 7.2 and 7.6. • Don’t drink and swim: Don’t swim while intoxicated and avoid bringing glass products into the pool area. • Stay sun safe: Ensure adequate protection from the sun – sunscreen, hats, sunglasses and water are must-haves.